I baked something so flippin’ fantastic this weekend that I cannot wait to tell you about it. Except that telling you about it involves a video tutorial. And a video tutorial involves hours of editing. So while that’s going on, I’ll share this other flippin’ fantastic idea. Naturally, you’re planning to make doughnuts, right? Or perhaps you have some other yeast dough plans in the works? After rolling and cutting, you’re bound to have scraps of dough lying about unused. Personally, I’ve always been a re-roller, piling the dough scraps together and rolling them out again to try to get a few more pastries. The resulting goods will be a little tougher, but it seems like a waste otherwise. 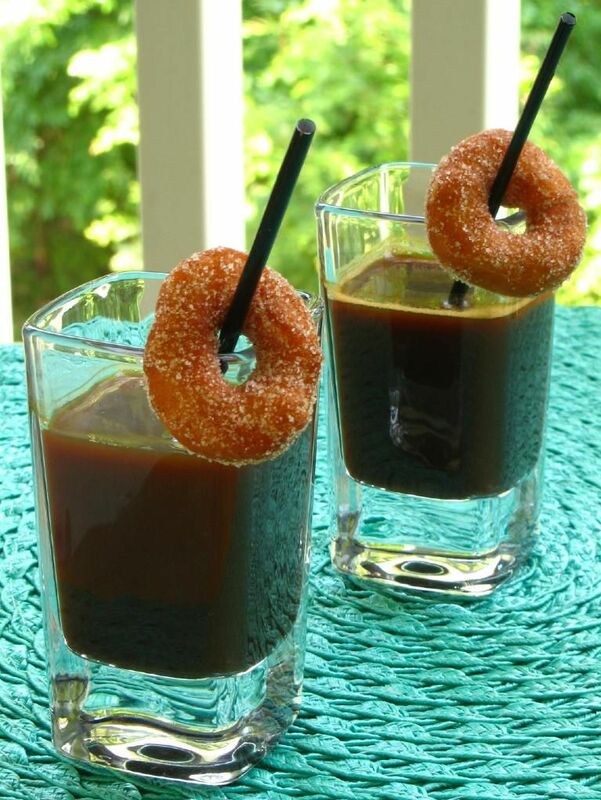 As I was browsing through doughnut recipes, however, I saw these sweet miniature doughnuts used as coffee (or hot chocolate!) cup decorations. They were the perfect use for dough scraps! After cutting out all of my doughnuts, I used a couple of smaller cookie cutters to cut out these minis. I proofed them with my regular doughnuts, fried them quickly on both sides in 350 degree oil, drained them on a paper towel lined plate, and then rolled them in a mixture cinnamon and sugar. They were hot, fluffy, and as cute as a button on a kitten carrying a cupcake. Translation: adorable. P.S. – While poking about, I found a fun tip for using yeast dough scraps for savory dishes. Now you have sweet and savory ideas in your tool belt! P.S. 2 – I wish I could find the site where I originally saw these coffee cup doughnuts; I like to put up a link if something inspires me. If you stumble across it, let me know. 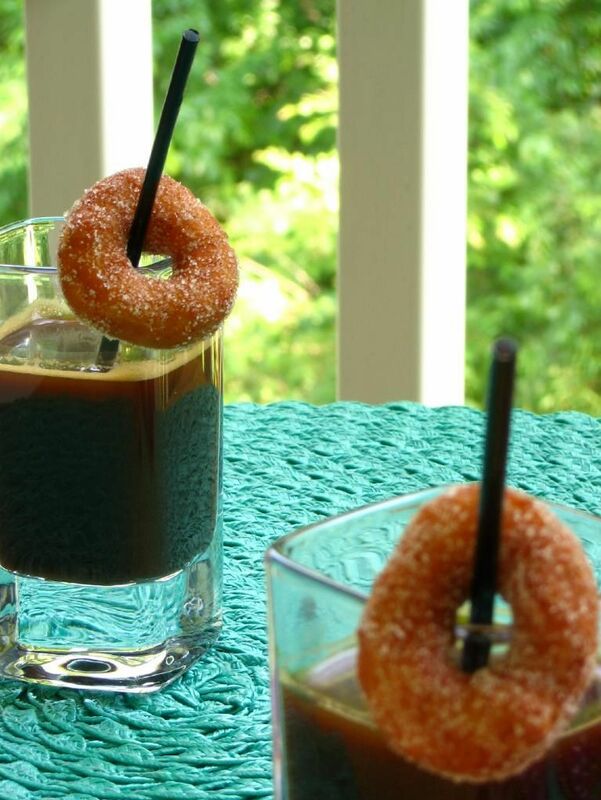 Super idea using dough scraps to make mini doughnuts.. Looks so cute against those glasses. Bacon donuts, now these little guys. I love it! These look so cute. I’ve also learned that anything in a mini size is incredibly lethal! Great job- they are adorable! I think you might have seen it here: http://www.marthastewartweddings.com/recipe/mini-doughnuts – The ever creative Martha Stewart, of course. Yes, Lesley, those are the ones! Thanks so much! I stashed away this image in my favorites folder a while ago :). Keep on baking! I love seeing your creative ideas come to life. YES, thanks Jenna! Those are the ones I saw for sure, though I think I saw them posted on another website. So glad you had the link tucked away! 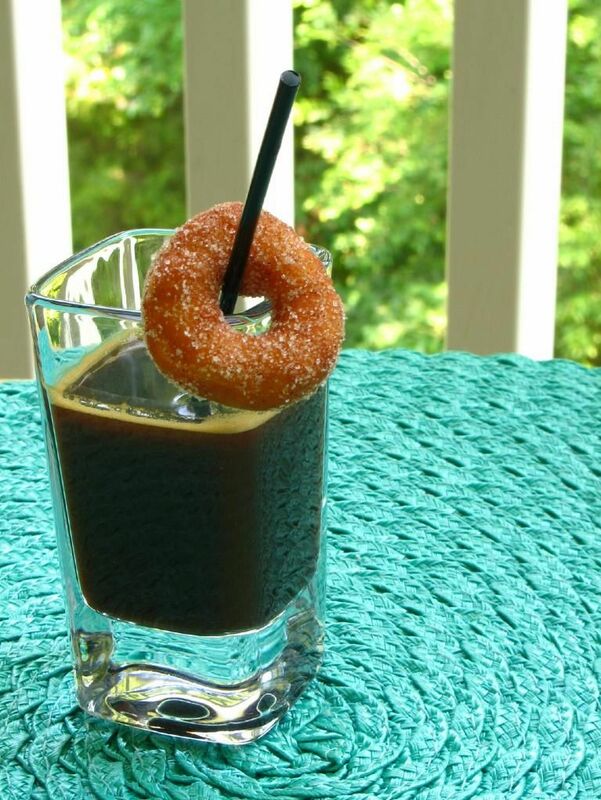 It’s a good thing I just made doughnuts this morning… because otherwise, I’d have to whip up a batch. These look adorable!! So since they are so damn CUTE and MINI I plan on eating many of them. Or making many cups of coffee just so I have a real excuse to eat many of them. Deal? This is so cool and cute. Love the presentation. These are absolutely adorable. I would love to have a couple to dunk into my afternoon tea. those mini doughnuts look so cute! im quite the fan of doughnuts. and from the looks of those pictures, im sure they taste out of this world. Too cute!! And great idea! These are so cute! I’m a re-roller too, I just can’t bring myself to waste all those scraps!